Inspired by the flawless skin of Korean women, Mathilde Thomas, the founder of Caudalie has created Caudalie Vinoperfect Concentrated Brightening Essence after 2 years of observing women around the world, their beauty routine, their little obsessions, and their esthetic aspirations. 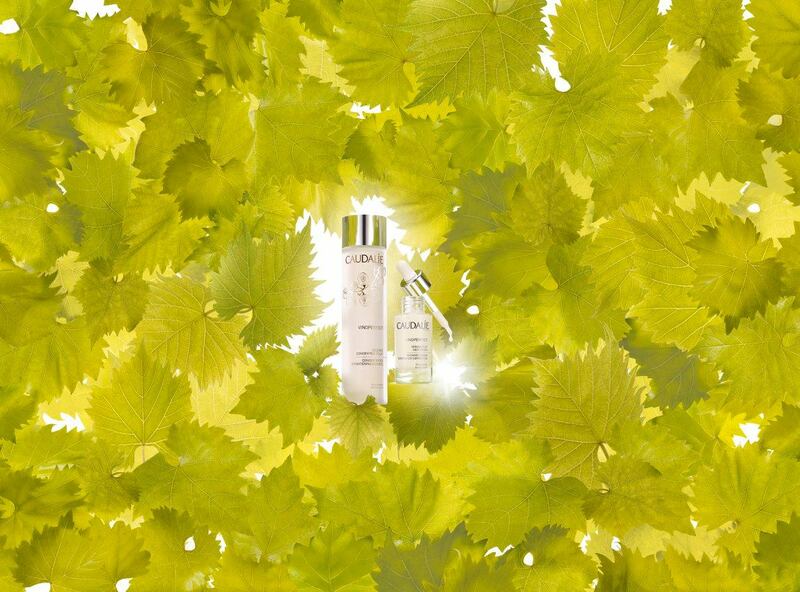 Vinoperfect Concentrated Brightening Essence is the first brightening essence that prepares the skin for receiving the active ingredients in the serum and thus increases its effectiveness. The essence was created to beautify women and reveal their radiance every day. Skin that is smooth, firm, moisturized and plumped; porcelain skin with no dark spots. 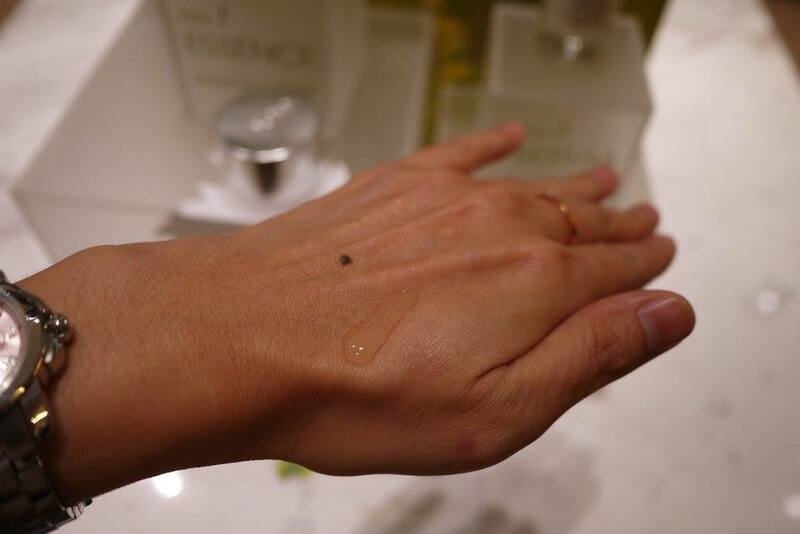 At the heart of this quest is the famous hybrid “essence” between a lotion and a serum, with an aqueous texture that is nevertheless deeply rich in active ingredients. Mathilde began to learn about this delicate and very specific technique. 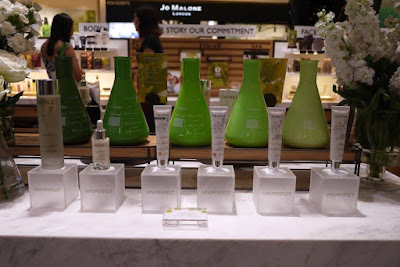 Convinced from the beginning that there should be no obstacle to this key step in women’s beauty routines (including in pharmacies), she created Vinoperfect Concentrated Brightening Essence: the first brightening essence that prepares the skin for receiving the active ingredients in the serum and thus increases its effectiveness. Essence is one of the best-kept secrets in the famous layering* technique from Asia. This refined, gentle routine combines a certain notion of an art devivre with genuine cosmetic performance. The Essence becomes a crucial step in the Vinoperfect routine. To increase the effectiveness of the serum, gently apply the Concentrated Brightening Essence to the face, neck, and of course the décolleté. Application tip: use a cotton pad or the fingertips, like Korean women. 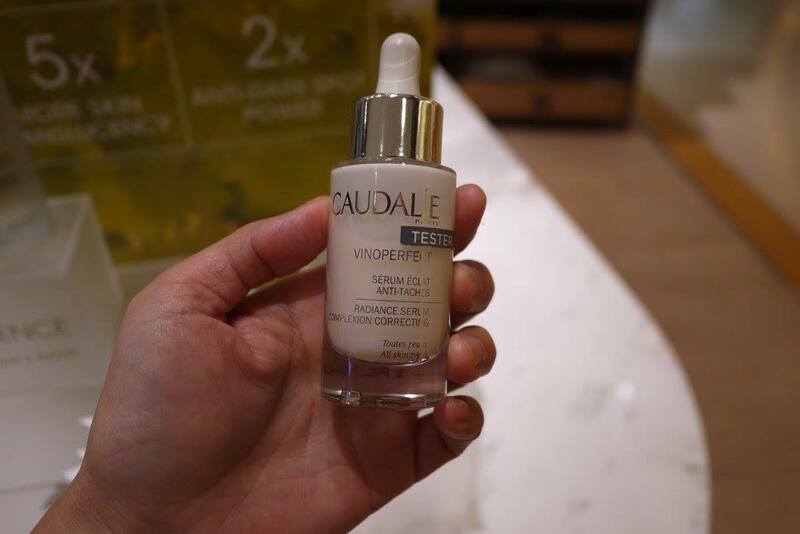 Vinoperfect Radiance Serum Complexion Correcting is the leading anti-dark spot product in pharmacies, this prodigious serum has both corrective and preventive actions due to its patented active ingredient derived from vine-sap: VINIFERINE. 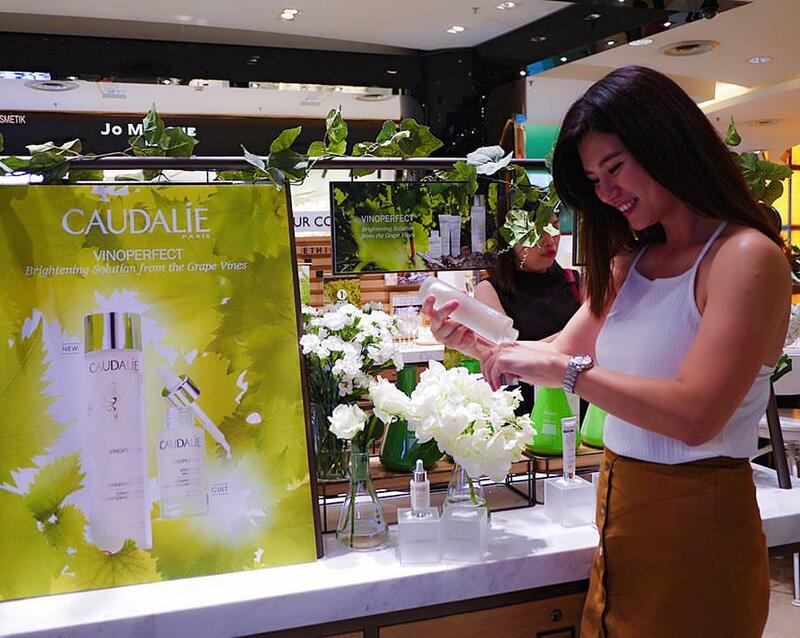 Apply the Radiance Serum Complexion Correcting, the cult product in the Vinoperfect collection, effective on all kinds of dark spots and for all skin types, even the most sensitive. 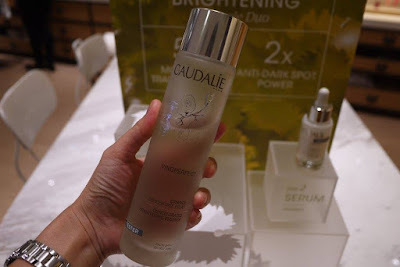 The Duo's anti-dark spot effectiveness is TWICE AS GREAT as that of the serum on its own. 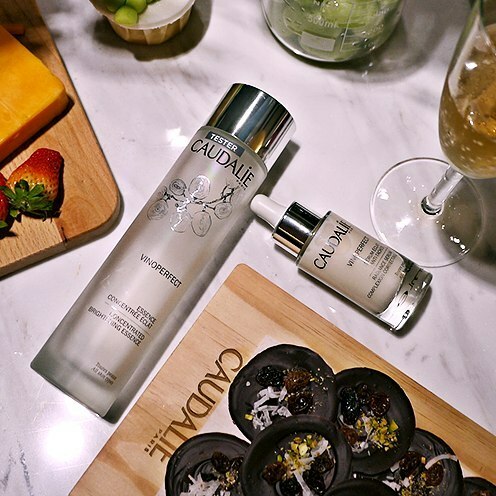 white peony extract for complexion evenness and a healthy glow, and grape water - Caudalie’s signature ingredient renowned for its moisturizing and soothing properties. We love how lightweight the duo's is, and we noticed our skin's improvement in smoothness, and beautiful complexion after using it for 2 months now. Vinoperfect Concentrated Brightening Essence 150ml is retail at RM170 while Vinoperfect Radiance Serum 30ml is retail at RM275. Caudalie is a great product. I love this brand for their skincare. I need to check this one out at my local Sephora. Wow its very luxurious looking. And a bit similarity with Laneige (for packaging) I wish to try them too! I've heard good things about this caudalie vinoperfect product. Going on my wish list now!